Hi all! It's time for another Time Out challenge. This challenge is our CASE with your own twist. This is the card we are CASE-ing by Marjan Kuppers. I was inspired by the flowers and the green dots. 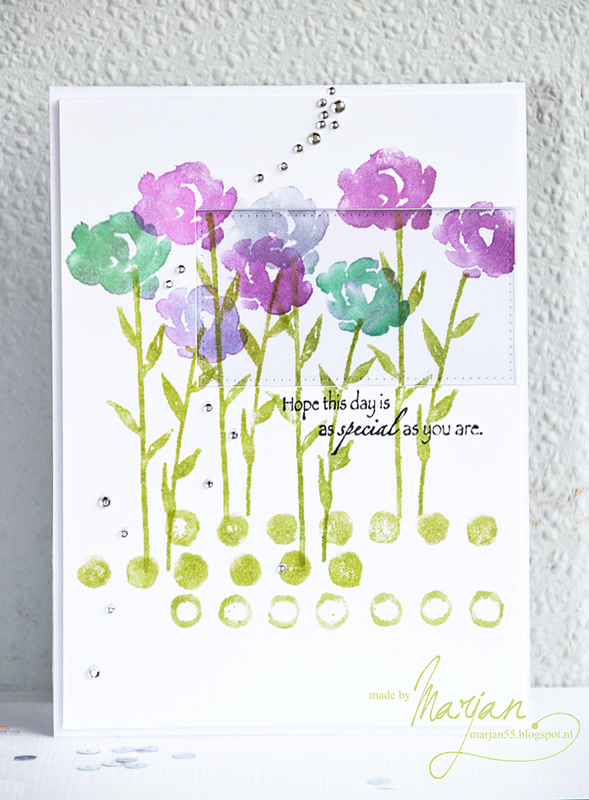 I liked the watercolor effect of the flowers, so I pulled out one of my all-time favorite Penny Black flower stamps and used watercolor crayons to color right on the rubber. Then I spritzed it with water and stamped. I covered it with Wink of Stella for some shimmer. I used a stencil and peeled paint distress ink on the main panel to get the dots. I added the sentiment (an old Hero Arts stamp﻿) and sequins. You can see more from the Time Out design team and our guest, Lee Ann, on the Time Out blog. Beautiful Lisa. Love the way you adhered the panel and the soft water color feel is beautiful. 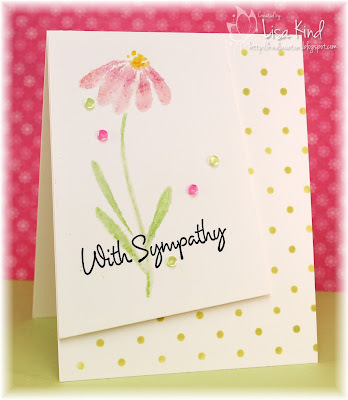 The flower is gorgeous and the way you used the ink gives it a lovely water colour look. Great stencil stamping. I thought it was DSP! 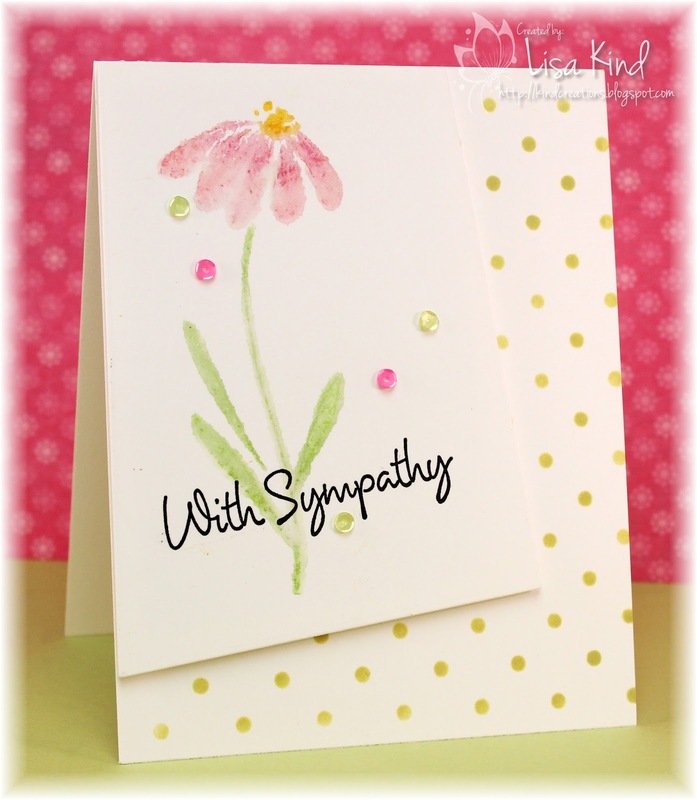 Love the dots in the background and the soft waterclout flower against it! Very subtle and beautiful card. Thank you for casing my card! Your flower is soft and lovely, and I like the tilted panel. Your dots are really interesting because of all the different shades you get because of the stencil. All together, a beautiful card.